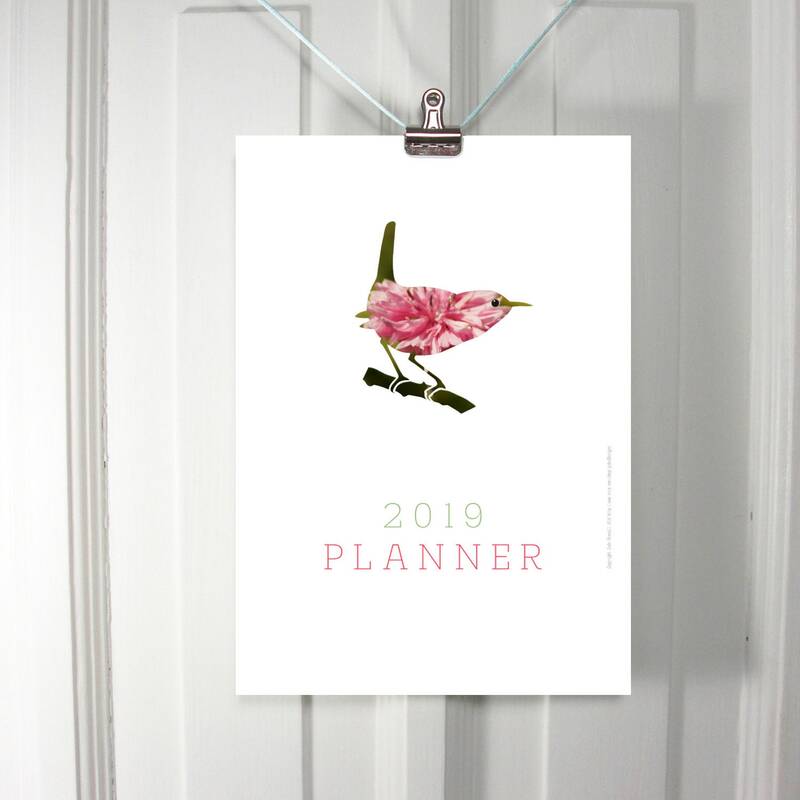 This is a 2019 monthly planner / wall calendar for you to print yourself. 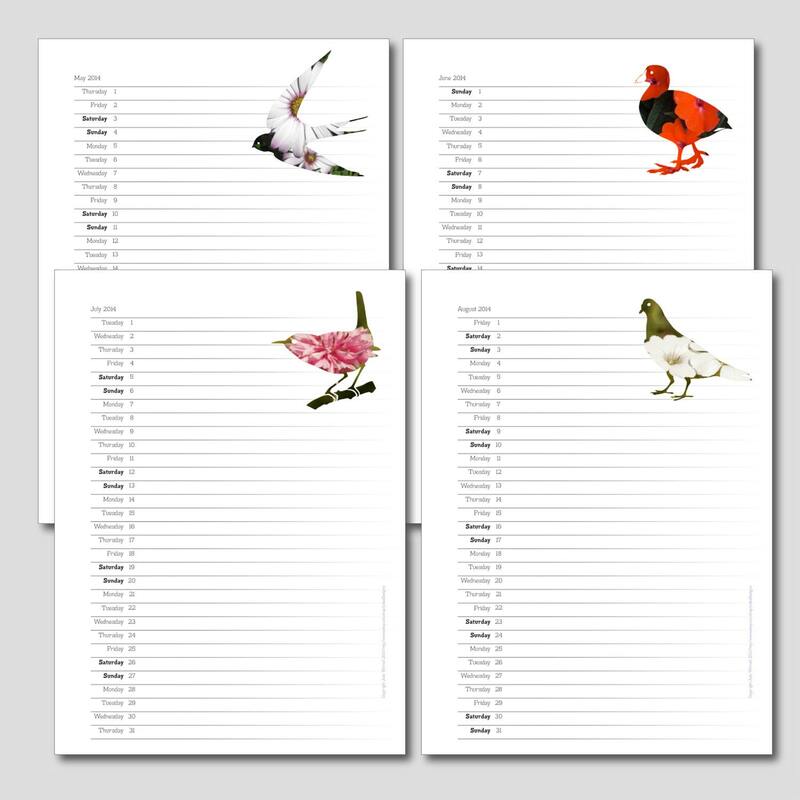 It features rare, eye catching exotic birds – there's a different one on each page. But as you can see when you look closer, the colourful birds have been created with flower photographs. Not only that, most of the flowers commonly grow in Britain. Some of them were in my garden and many were seeded in a wild flower garden in the corner of our local park. 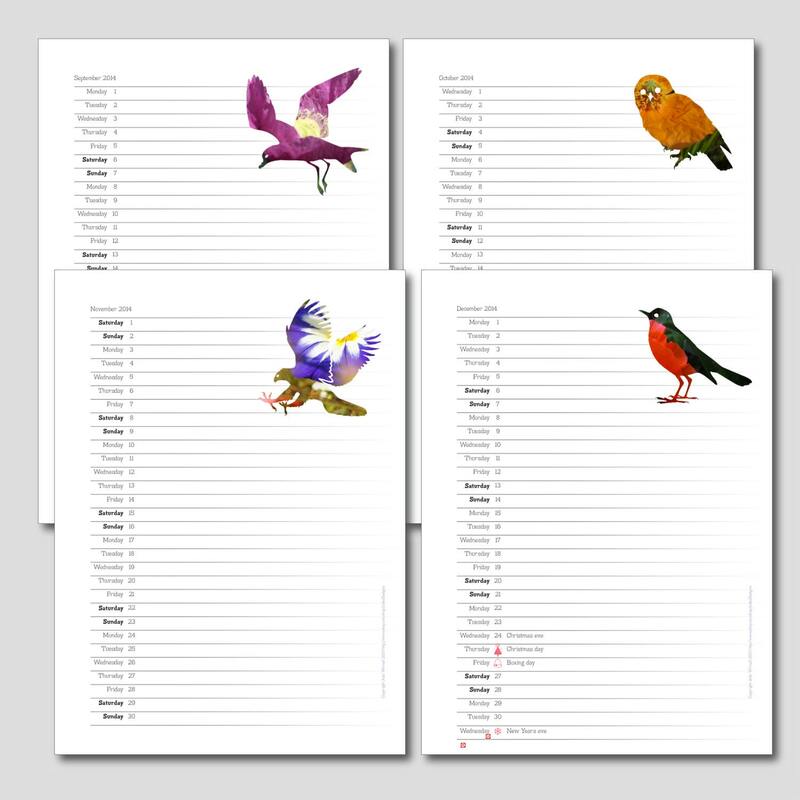 I hope the cheerful colours and unusual breed of birds will brighten your day as you use it. 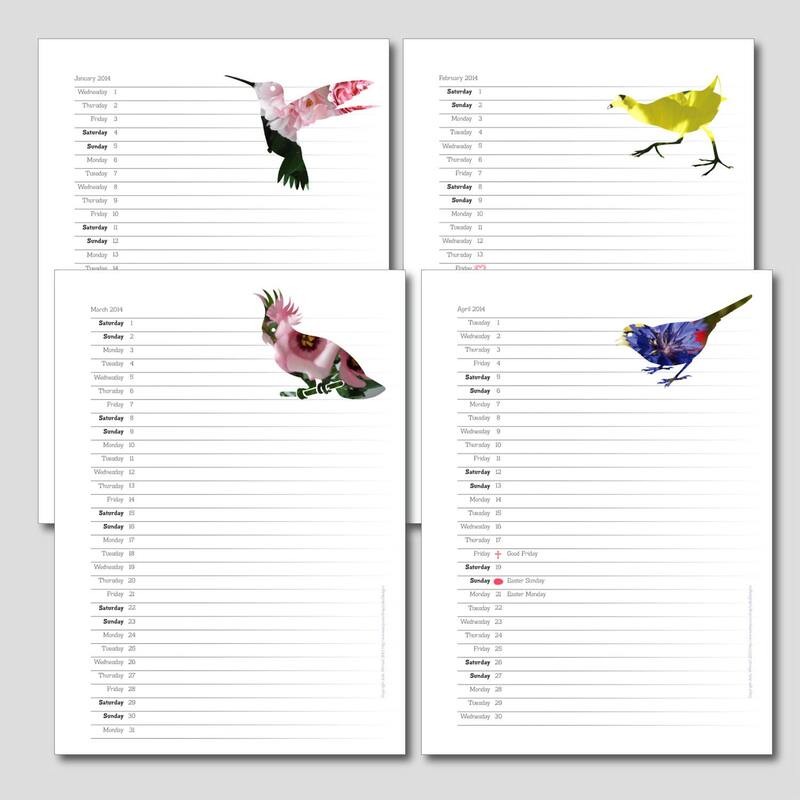 And it is useful – you can write quite a lot on each day of the month because it has wide rows for your daily plans. 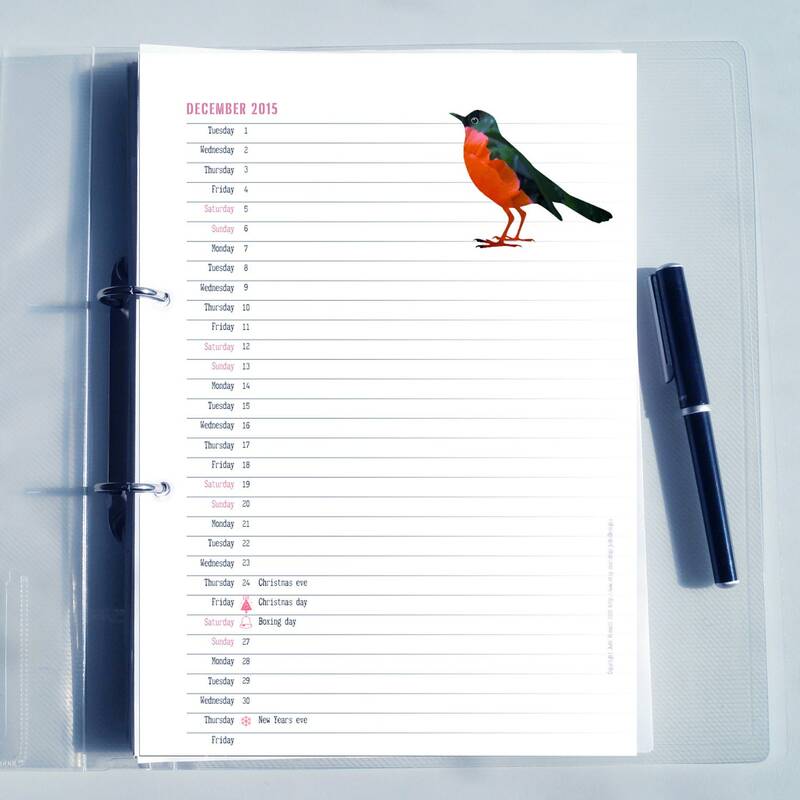 • Can be used on a clip board or bound with a bulldog clip. Or punch one or two holes along the top edges and hang your prints by a cord or treasury elastic. Or punch two holes on the the left hand edges so it fits a ring binder. • Only includes Easter, Halloween, Christmas and New Year. • No shipping costs. 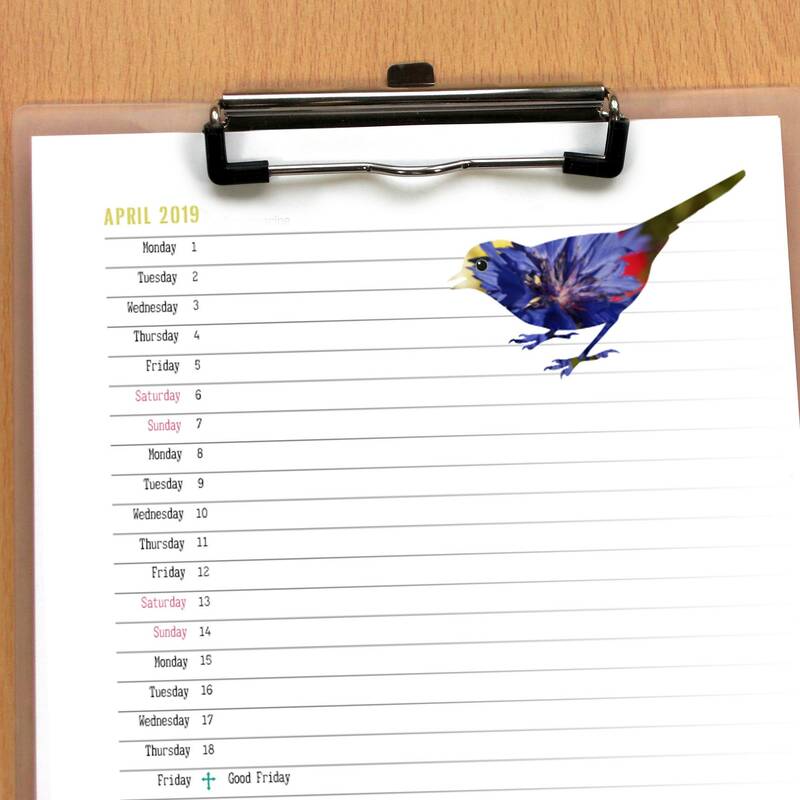 You can download the planner as soon as you have paid for it. Copyright 2013 Jude Winnall. Pdf's are password protected so printing is restricted to low resolution output on home or copy shop printers. Also text and images can not be edited or copied.You may print the pdf for yourself as many times as you like. You are not permitted to sell the planners or distribute the pdf to anyone else.